First of all, formula notes. All cover in two or three thin coats and have a medium-to-fast-dry time. 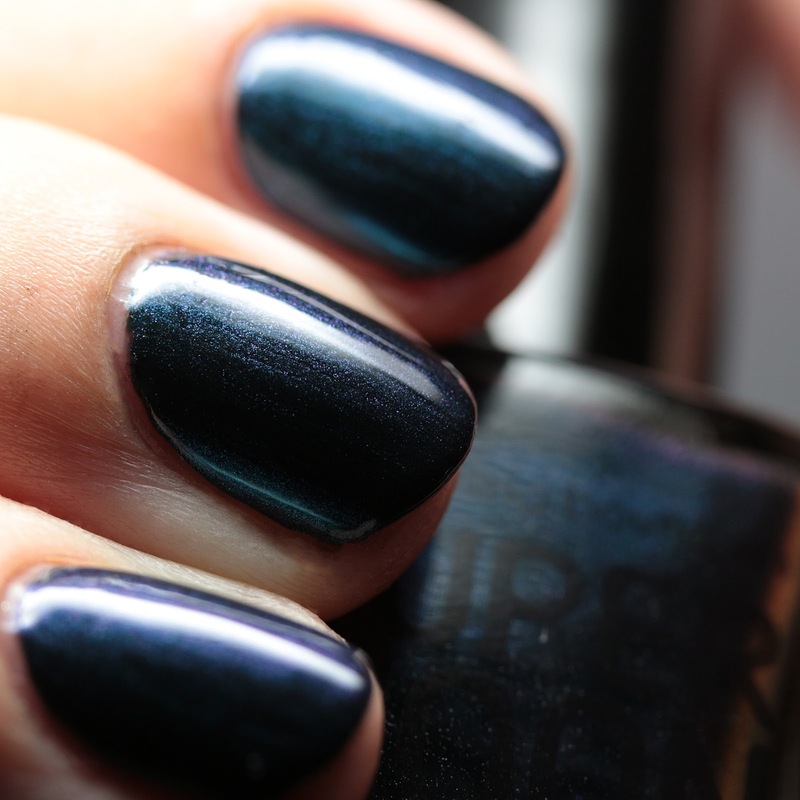 Some, as noted, have a bit of texture that can be covered with a layer of top coat. 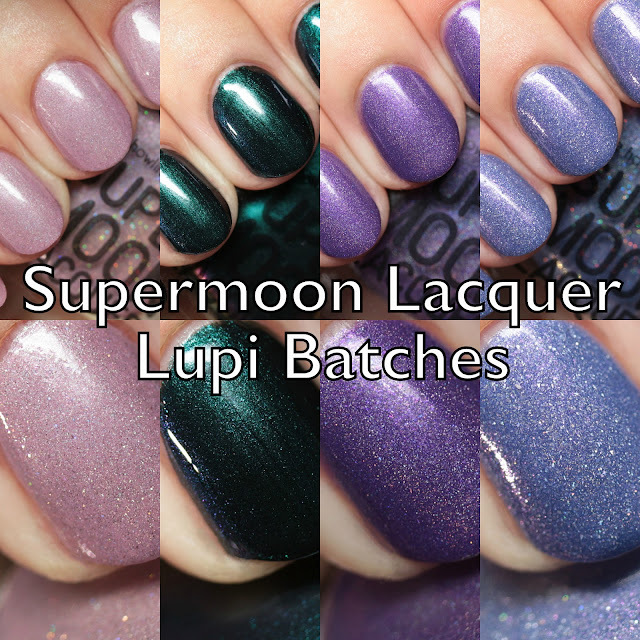 Supermoon Lacquer Eta Lupi is a light mauve scattered holo with pink-to-green duochrome microflakes and very fine holo glitter. 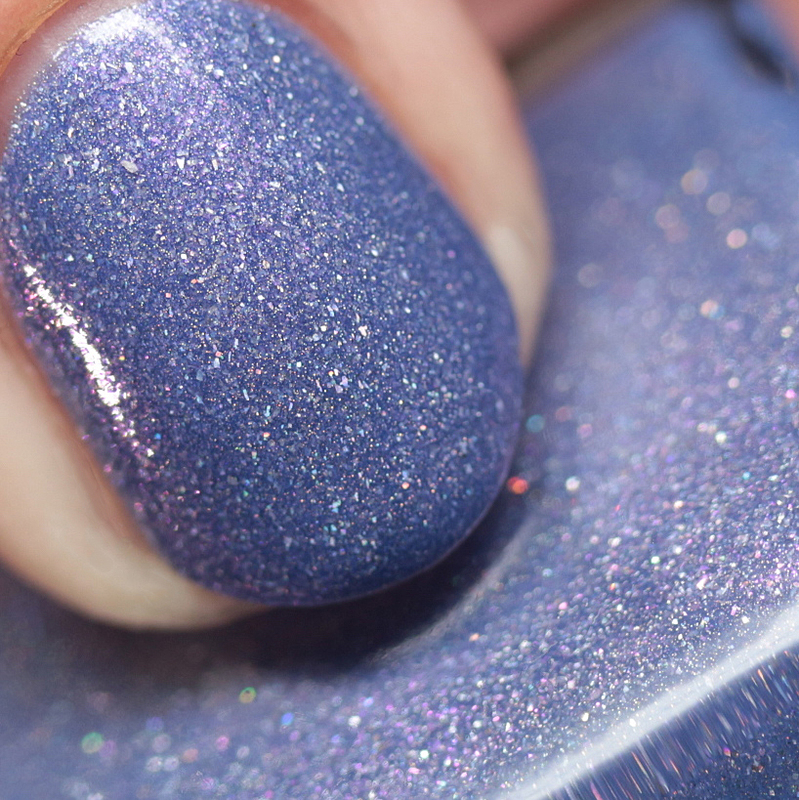 This has a slight bit of texture and is shown here with top coat. 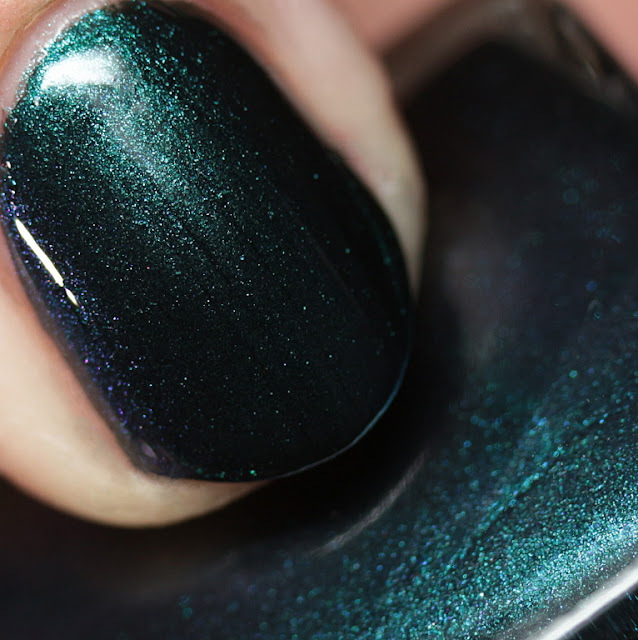 Supermoon Lacquer Gamma Lupi is a dark teal with green-to-pink multichrome shimmer. 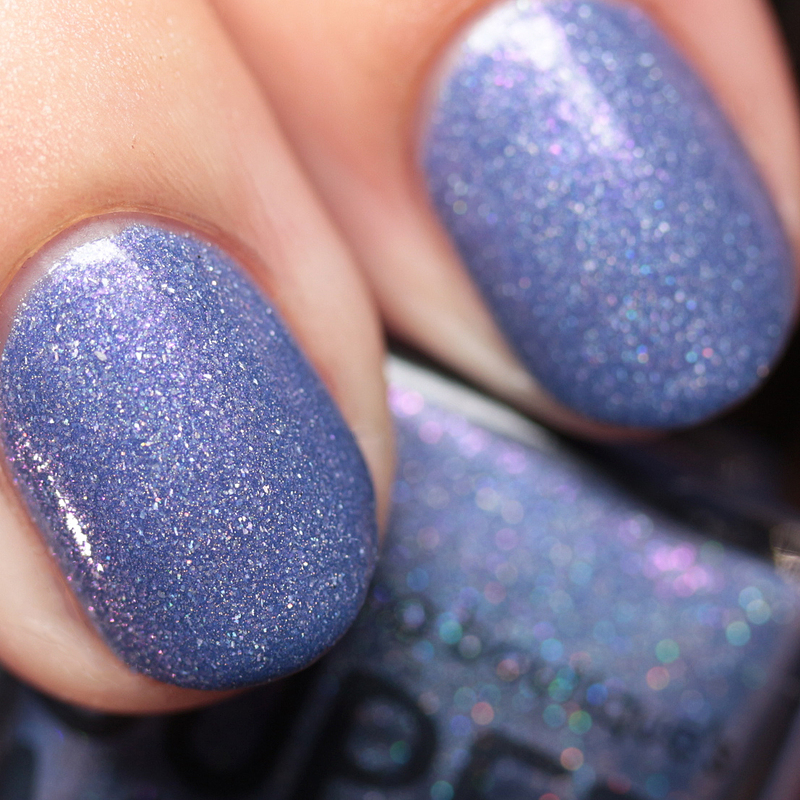 This is ultra-opaque and might be a one-coater if you are careful. 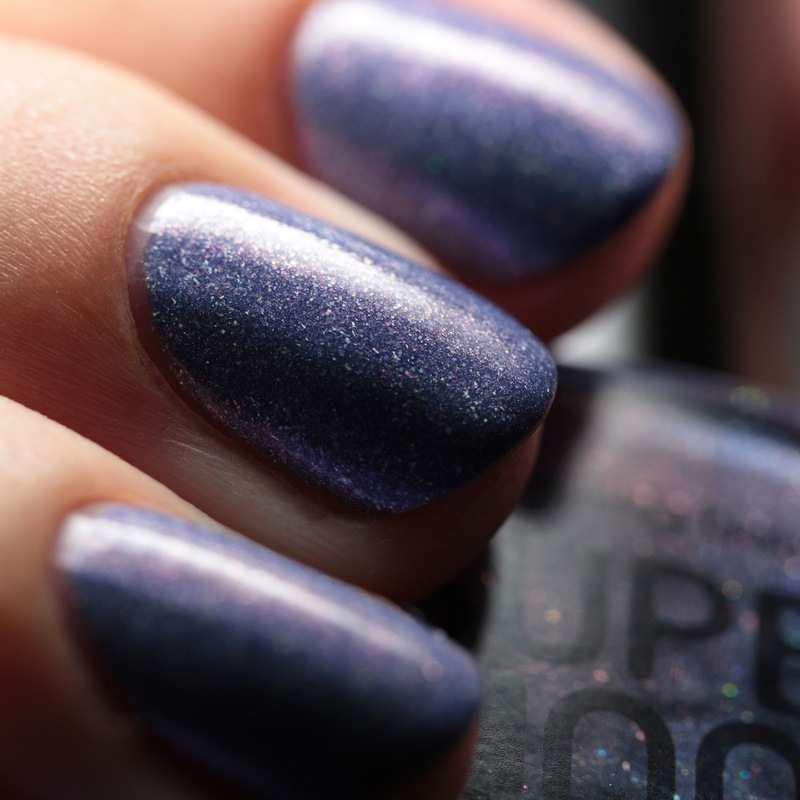 Supermoon Lacquer Theta Lupi is a medium violet with scattered holo shimmer and pink microflakes. 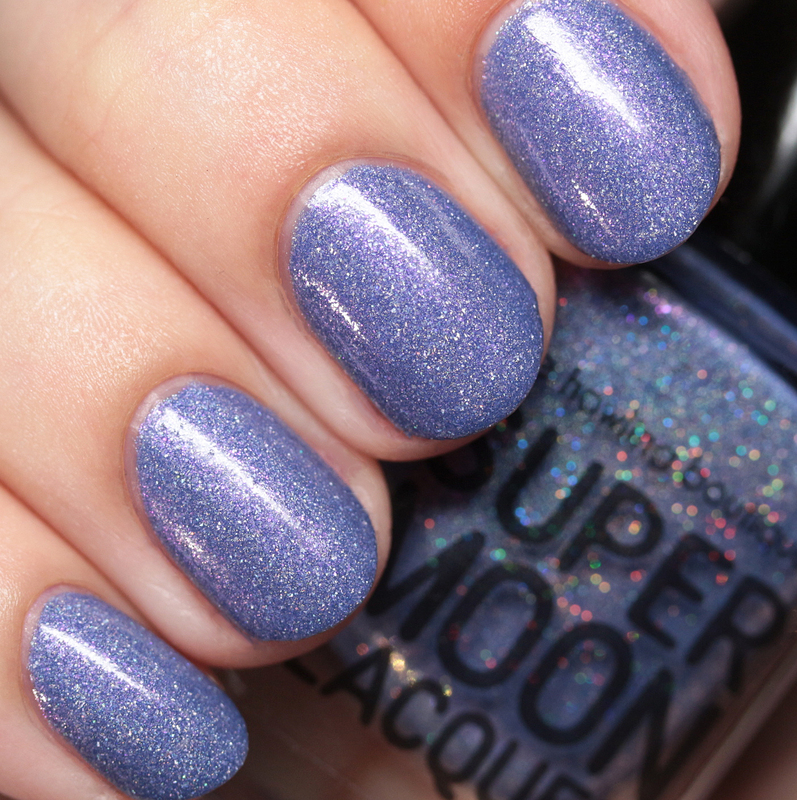 Supermoon Lacquer Zeta Lupi is a periwinkle with holo flakes and microglitters and pink-to-gold duochrome microflakes. 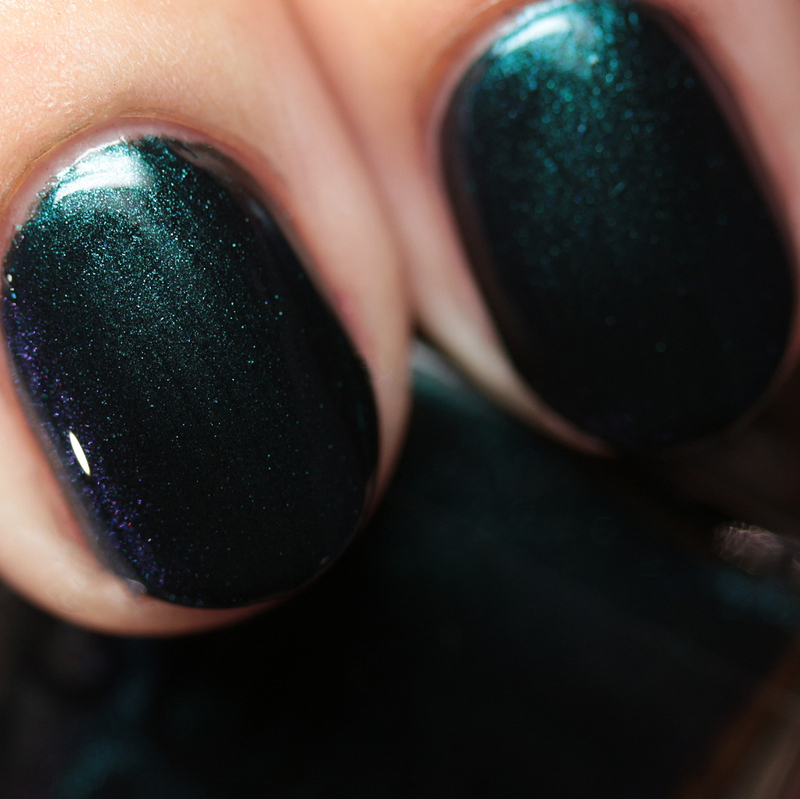 This has a bit of texture to it and is shown with top coat. These will be available in limited quantities on June 6 at 6PM CDT and will be back later at some point. If you missed it, my review of the other half of the Lupi Batches can be seen here. Do you have a favorite in this group? I think mine is Zeta Lupi, which is so complex and interesting.